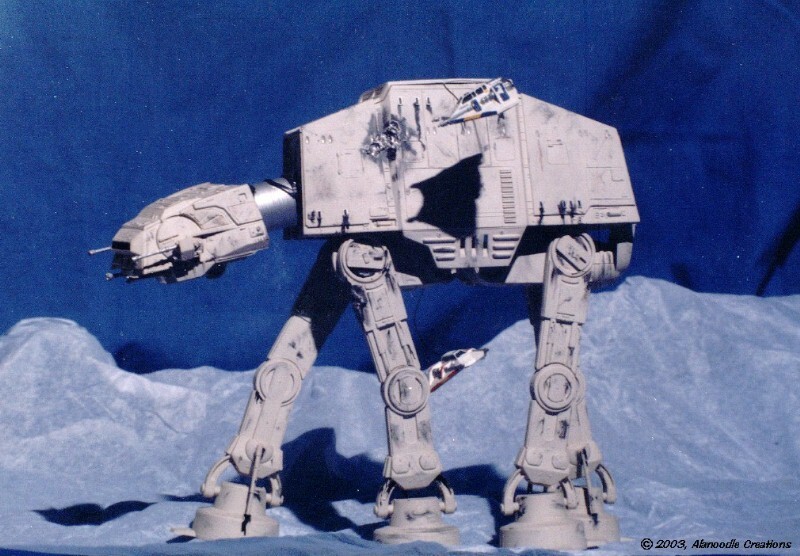 This is MPC's kit of the Imperial Walker from The Empire Strikes Back, painted with Pactra and Testors enamels. The two snow speeders are suspended by guitar strings. Battle damage was done with a soldering iron. 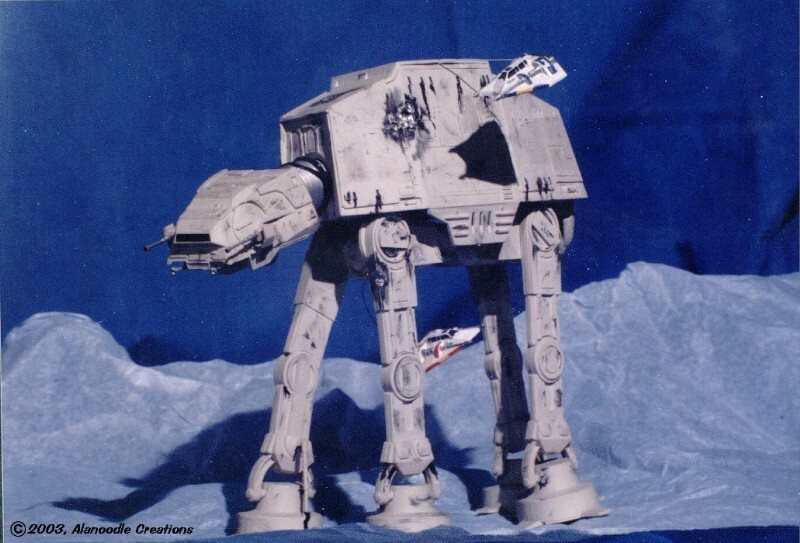 The snowy terrain is crumpled tissue paper.